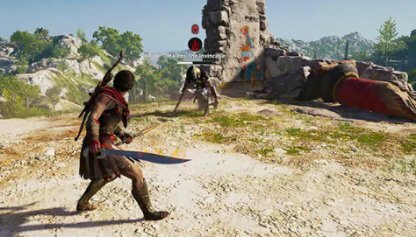 Check out the stats & how to get the Legendary weapon - Achilles's Bow for Assassin's Creed Odyssey! 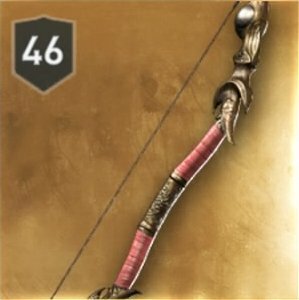 Unique Perk - "+20% Damage with Devastating Shot Ability"
This powerful bow deals additional 20% damage to your Devastating Shot Ability. Use this bow with a maxed out ability for up to 400% Hunter Damage. 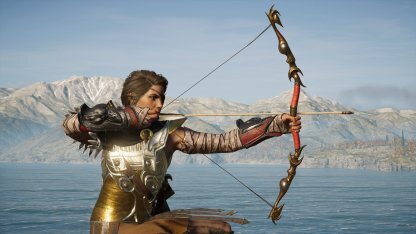 Achille's Bow grants +15% Hunter Damage and +5% CRIT Chance aside from its unique engraving. It's a powerful bow to have in the end-game. Defeat The Mercenary Titled "The Marksman"
This legendary bow is a drop from a mercenary whose name is suffixed with "The Marksman". He is accompanied by a tamed lion. You can find and encounter this mercenary when your character is at Level 21 onwards.